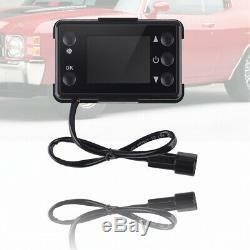 5KW 12V Diesel Air Heater Remote Control LCD Monitor For Truck Boat Car Trailer. Fuel Consumption: 0.2-0.5. Working Temperature of the Heater: -40. Working Temperature of the Oil pump: -40. Material: Shell: plastic, Motor: pure cooper. 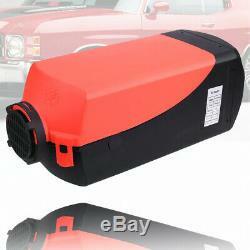 Can preheat the coolant of the engine to avoid wear and tear of engine that started at low temperature. Can eliminate the window frost. Low emissions, low fuel consumption. Compact structure, easy to install. Can dismantle to a new car when replace vehicle. 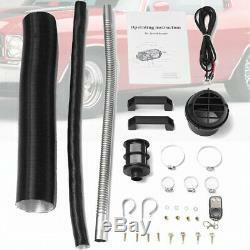 Volatile technology, by the ceramic ignition plug will fuel heating evaporated into gas, fast ignition, full combustion. The use of advanced automatic control technology, with a reliable abnormal operating conditions. Fuel, electricity, temperature can be set arbitrarily. Can use diesel as fuel. 21 Package Includes: As Shown In Our Pictures. We Highly Recommend Professional Installation. 12 Can preheat the coolant of the engine to avoid wear and tear of engine that started at low temperature 13 Can eliminate the window frost 14 Low emissions, low fuel consumption 15 Compact structure, easy to install 16 Can dismantle to a new car when replace vehicle. 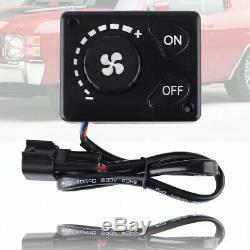 The item "5KW 12V Diesel Air Heater Remote Control LCD Monitor Fits Truck Boat Car Trailer" is in sale since Wednesday, February 20, 2019. 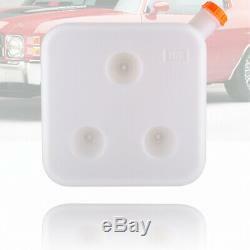 This item is in the category "eBay Motors\Parts & Accessories\RV, Trailer & Camper Parts\Other". The seller is "amoracing" and is located in Chino, California. This item can be shipped to United States, Canada, United Kingdom, Australia, Mexico, Germany, Japan, Denmark, Romania, Slovakia, Bulgaria, Czech republic, Finland, Hungary, Latvia, Lithuania, Malta, Estonia, Greece, Portugal, Cyprus, Slovenia, Sweden, South Korea, Indonesia, Taiwan, South africa, Thailand, Belgium, France, Hong Kong, Ireland, Netherlands, Poland, Spain, Italy, Austria, Bahamas, Israel, New Zealand, Philippines, Singapore, Switzerland, Norway, Saudi arabia, Ukraine, United arab emirates, Qatar, Kuwait, Bahrain, Croatia, Malaysia, Brazil, Chile, Colombia, Costa rica, Dominican republic, Panama, Trinidad and tobago, Guatemala, El salvador, Honduras, Jamaica, Viet nam.